Take a tricycle from the airport to the Integrated Bus and Jeepney Terminal (60 PHP). Then take a bus bound for Cagayan de Oro City. The bus crosses Panguil bay via a ferry boat (25 PHP) from Ozamiz City to Mukas port in Lanao del Norte. Get off at Iligan City. Travel time is about 1.5 hours, fare is 70 pesos. Take a Marawi bound van or jeepney at the Southbounf Terminal in Iligan City. Travel time is about an hour and fare is 50 pesos on a jeepney. You can take a jeepney bound for MSU at the Southbound Terminal in Iligan City. Travel time is about an hour and fare is 50 pesos. Aga Khan Museum and King Faisal Mosque are within walking distance when you're already inside the campus. There are also tricycle that can take you around MSU for 8 pesos per ride. From the city proper, take a Buru-un route jeepney. Tell the driver to drop you at Iligan City National School of Fisheries or simply at the corner road to Mimbalut. Fare is 13.00 PHP and travel time is about 15-20 minutes. From there, take a habal-habal (motorcycle) and ask the driver to take you to the falls or you may walk for a few minutes by taking the off road trail beside the School. From the city proper, take a jeepney bound for Buru-un. 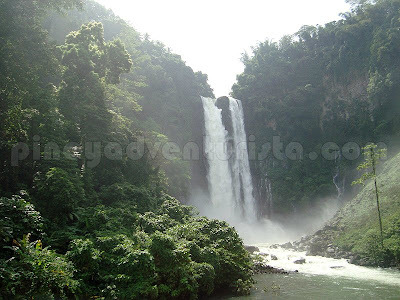 Tell the driver to drop you at the crossing going to Maria Cristina Falls. Fare is about 12.00 pesos and travel time is around 15-20 minutes. It is located 8.5 kilometers away southwest of the city proper. From the city proper, take a jeepney bound for Buru-un. Tell the driver to drop you at the crossing going to Maria Cristina Falls. Fare is about 12.00 pesos and travel time is around 15-20 minutes. Then walk towards the NPC complex for about 5-10 minutes. 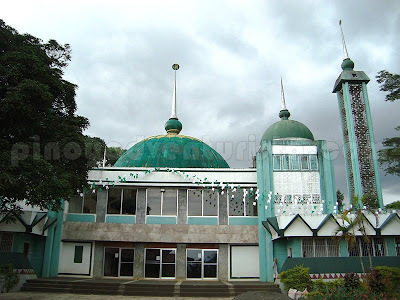 They are all located located near Ozamiz City Port. From the city center, you can take a leisurely walk to the fort for about 10-15 minutes or take a tricycle and the driver can bring you there for 10 pesos each. There are a number of accommodations available in Iligan and Ozamiz City, from expensive hotels and resorts to cheap and affordable hostels, inns, pension and lodging houses. If you are on a tight budget (like me), the cheapest hostel could be the Zitro Guest House in Iligan and Country Lodge in Ozamiz City. Room Rates: starts at 400 PHP per night for a double air-conditioned room with private toilet and bath. Notes: As it is located at the town proper, it is very accessible and near the business establishments. Spacious rooms but not so clean.Toilet and bath is big but not well kept. Television set is not working properly. Air-con is cool. It was ok, but I do not highly recommend this when staying in Iligan. Room Rates: starts at 100 PHP per night per person for a double non-air conditioned room with common toilet and bath. Notes: It is located around 500 meters away from the city proper. But with a short tricycle ride, you can get to the business establishments, church and Gaisano Mall. Spacious and clean rooms. Toilet and bath is ok. I recommend this when visiting Ozamiz City. Perfect for budget travelers like me. Here's my suggested itinerary for a 3-day weekend getaway in Biliran. How about Davao Airport to Marawi City? wala po bang NPA jan? Safe magtravel alone jan ang babae?